The arts make a contribution to education that reaches beyond their intrinsic value as direct forms of thinking. Because each arts discipline appeals to different senses and expresses itself through different media, each adds a special richness to the learning environment. As students imagine, create, and reflect, they are developing both verbal and nonverbal abilities necessary to school progress. At the same time, they are developing problem-solving abilities and higher-order thinking skills. Research points toward a consistent and positive correlation between a substantive education in the arts and student achievement in other subjects and on standardized tests. A comprehensive, articulated arts education program also engages students in a process that helps them develop the self-discipline, cooperation, and self-motivation necessary for self-esteem and success for life. Understand human experiences, both past and present; Adapt to and respect others' ways of thinking, working, and expressing themselves; Learn artistic modes of problem solving, which bring an array of expressive, analytical, and developmental tools to every human situation; Understand the influence of the arts, in their power to create and reflect cultures, in the impact of design on virtually all we use in daily life, and in the interdependence of work in the arts with the broader worlds of ideas and actions; Make decisions in situations where there are no standard answers; Analyze nonverbal communication and make informed judgments about cultural products and issues; and, Communicate thoughts and feelings in a variety of modes, giving them a vastly more powerful repertoire of self-expression. Source: National Standards for Education in the Arts. 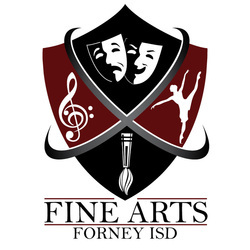 The Forney Independent School District believes that a quality arts education program will enable students to develop self-esteem, self-discipline, self motivation, and cooperation necessary for success in life. 4. The arts teach children that in complex forms of problem solving, purposes are seldom fixed, but change with circumstance and opportunity. Learning in the arts requires the ability and willingness to surrender to the unanticipated possibilities of the work as it unfolds. 5. The arts make vivid the fact that words do not, in their literal form or number, exhaust what we can know. 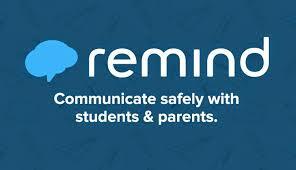 The limits of our language do not define the limits of our cognition. Help ensure that all Texas students have the opportunity to receive a quality fine arts education by registering your support with GoArts.